Fairy Tail is a Japanese manga series written and illustrated by Hiro Mashima. It has been published in Weekly Shōnen Magazine since 2006. The series follows the adventures of Lucy Heartfilia, a teenage wizard who joins the popular wizards’ guild and teams up with fellow guild member Natsu Dragneel as he searches for the dragon Igneel. The manga series has been adapted to anime series, films, video games later. 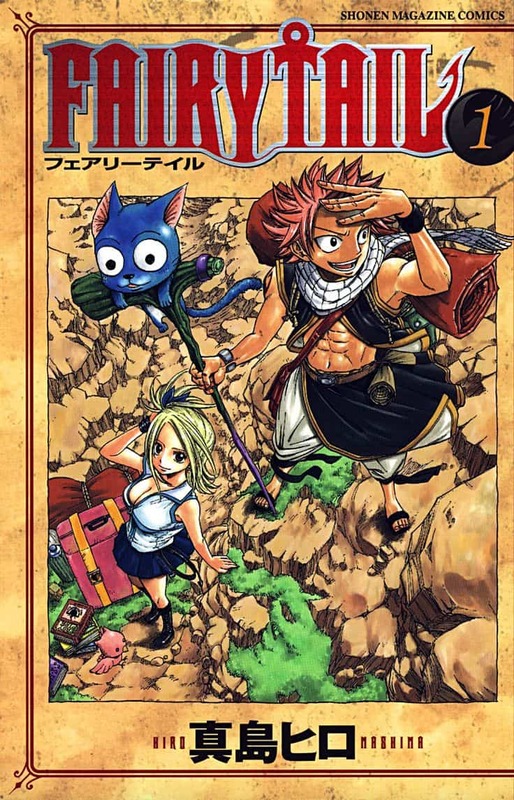 The above is the cover of the first volume of Fairy Tail, released in Japan on December 15, 2006. The font used for the logo is very similar to Crown Title designed by Jonathan Paterson. The font is available in capital letters only. You can download it for free here. If you do not want to download and install the font but just like to create simple text or logos using Fairy Tail Font, just use the text generator below. The following tool will convert your entered text into images using Fairy Tail Font, and then you can right-click on the image to save it or click on the "EMBED" button to get links to embed images on the web.